at the arbors kids, we care about children. The Arbors Kids is a family-owned business with a simple philosophy - we truly care about children. From child care services and before and after school programs to vacation and summer camps, we provide you with the professional services and caring attention your family needs. 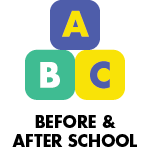 The Arbors Kids offers a place for your child to explore, grow, and learn. Our staff aims to enrich the lives of all children at The Arbors Kids.